The term ‘root canal’ is used in dentistry to refer to the minute, narrow passageways branching from a central, hollow space inside the tooth – pulp chamber – down to the end of the tooth roots. The root canal treatment focuses on the inside of a tooth whose pulp has become infected or inflamed by removing the pulp and replacing it with filling material. Infection or inflammation of the pulp can be caused by deep decay, a cracked or chipped tooth, faulty crown, or repeated dental procedures on the tooth. Trauma can also result in pulp damage even if there’s no visible damage to the tooth. During root canal therapy, the infected or inflamed pulp is removed before the inside of the tooth can be cleaned and disinfected. It is then filled and sealed with gutta-percha – a rubber-like material, and the restoration completed with a filling or crown for protection. If an inflamed or infected pulp is left untreated, it can cause a lot of pain and possibly result in an abscess. But after restoration through root canal treatment, the tooth can continue to function like any of your other teeth, with the same oral hygiene requirements. What effect does removing the tooth pulp have? If the tooth pulp becomes severely infected or inflamed due to injury or decay, the only way to stop the infection from spreading and save the tooth is by removing this tissue. The pulp is primarily used to promote tooth development during childhood, and plays no role in adult teeth. The procedure actually relieves a toothache because the inflamed tissue contains a lot of nerves. Root canal treatment is performed after numbing, and causes no more discomfort than a filling would. Generally, the treatment takes between 45 and 90 minutes after all preparations have been made. Is the tooth safe after treatment? Yes, though you will be requested not to chew with the side of the mouth that received treatment for a few days. But since a “dead tooth” is quite brittle, a crown is absolutely essential to strengthen the tooth. Looking for a Root Canal Specialist in Irvine? 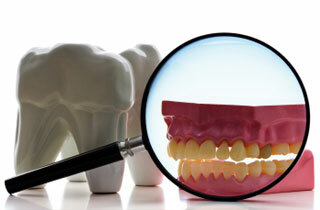 If you are looking for a root canal dentist or specialist, then you have come to the right place. For more information on cost & pricing of root canal therapy, or to schedule an appointment with our dentist please call (949) 551-9999 or contact us online.